This coffee table has really come in handy storing and displaying some of the kids toys and materials. It was originally used as a shelf for my now three year old as her first shelves in our lounge room. I had some toys and materials on the top and middle shelf and some baskets stored underneath. 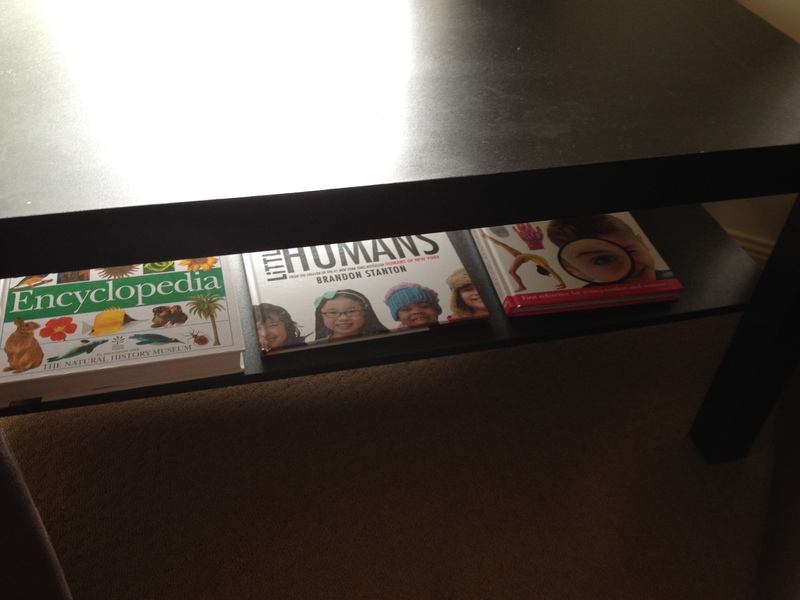 This table is now being used to display some books for my children to look at. 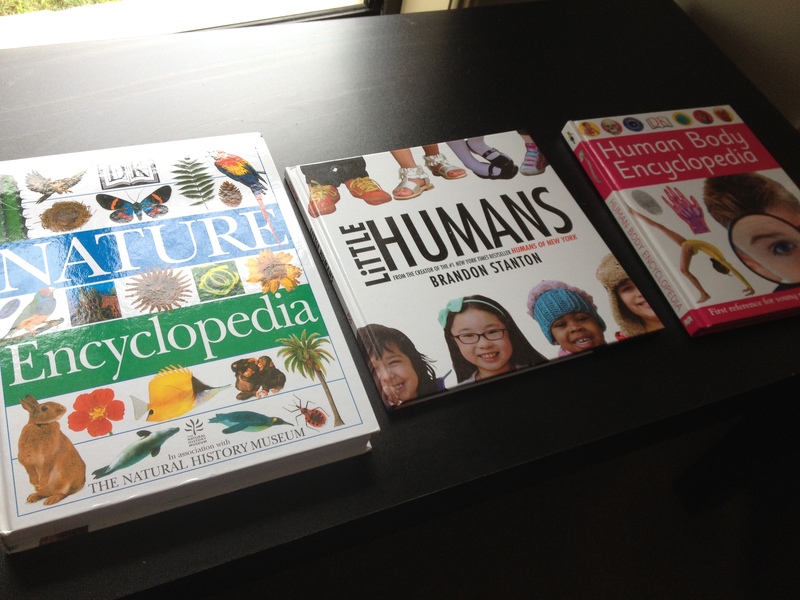 At the moment there is a DK Nature Encyclopedia, Little Humans by Brandon Stanton and DK Human Body Encyclopedia. All three books get looked at and read often. When not in use they are stored on the next shelf. DK Nature Encyclopedia, beautifully illustrated, full of useful information. A heavy book though. Little Humans by Brandon Stanton. Gorgeous photographs that my three year old loves to look at.